Belknap Press: An Imprint of Harvard Universi, 9780674967793, 496pp. Following his acclaimed life of Dickens, Robert Douglas-Fairhurst illuminates the tangled history of two lives and two books. 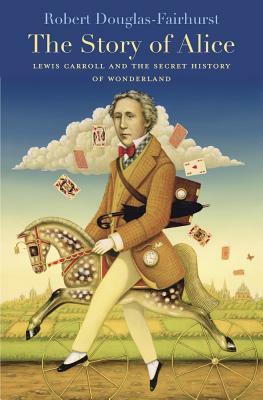 Drawing on numerous unpublished sources, he examines in detail the peculiar friendship between the Oxford mathematician Charles Dodgson (Lewis Carroll) and Alice Liddell, the child for whom he invented the Alice stories, and analyzes how this relationship stirred Carroll's imagination and influenced the creation of Wonderland. It also explains why Alice in Wonderland (1865) and its sequel, Through the Looking-Glass (1871), took on an unstoppable cultural momentum in the Victorian era and why, a century and a half later, they continue to enthrall and delight readers of all ages.